Amongst the facilities that the TU Delft offers to its students is the D:DREAM Hall. D:DREAM stands for “Dream Realization of Extremely Advanced Machines”. The D:DREAM Hall is home to a variety of engineering teams, the so-called DREAM Teams. A DREAM Team is a great way for a student to learn many essential engineering skills in a relatively short time. The teams typically start in September; working towards competitions taking place in summer. This leaves the teams with eight to ten months until they need to deliver their product. This means that there is little room for errors, too many design iterations and other delays. To work well as a team is of paramount importance. The teams function as full-fledged companies, in order to give a more realistic engineering experience. The challenges that come up during the year are not merely of an engineering nature; the teams handle their own finances as well. This is mostly done through partnerships with industry companies, so a team needs to be “interesting”. With high visibility amongst the student body of the university, many technical employers are naturally interested in cooperating. However, not all companies find this sufficient motivation, especially not when considering a large involvement, so teams also need to generate exposure to satisfy partners. All in all, working in a DREAM Team really is not all that different from any other engineering company, providing students with invaluable experience. 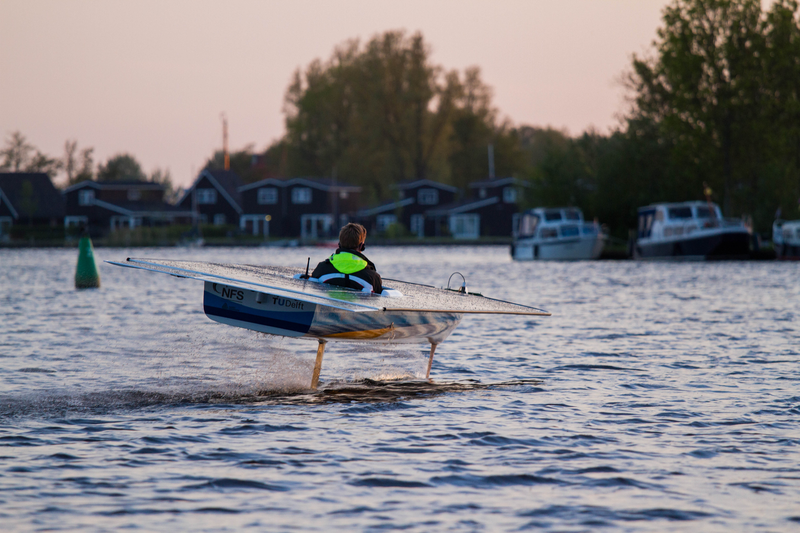 Members of the TU Delft Solar Boat Team are mostly selected based on their applications for the project and their enthusiasm towards engineering in general. 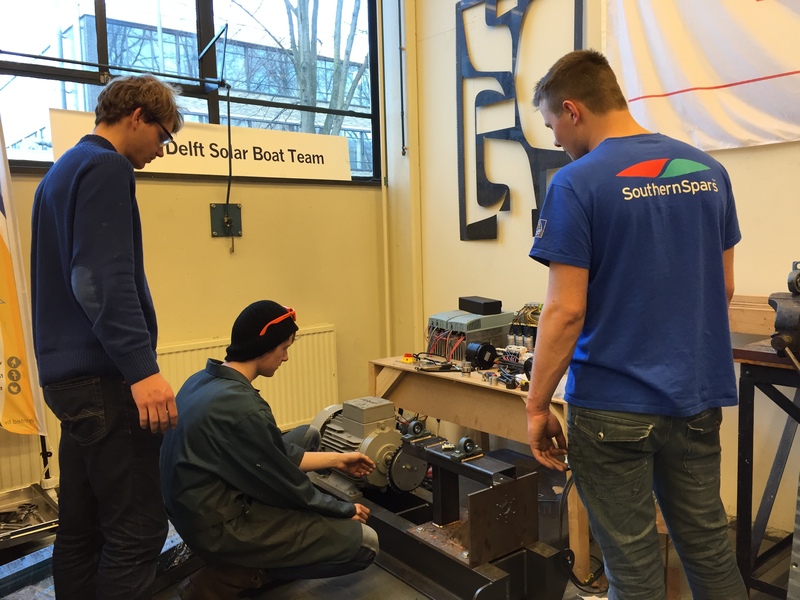 The project started when several maritime engineering students were asked to try and build a solar-powered boat. This was really just a practical feasibility study, but one that resulted in the birth of the world championships of solar boat racing. Initially, the engineering done was mostly of a maritime nature. The team won the first two editions of the world championships with regular boats, optimized wherever possible. From 2010 onwards, the teams have added hydrofoils to lift the boat out of the water. Combining this with the solar panels that are the most defining feature of the boat, as well as the use of composite materials, the project has been as much a challenge in aerospace engineering as in maritime engineering. Ever since, the results have been mixed. The additional stability issues, as well as an increasingly sophisticated electric system, have resulted in low reliability of the hydrofoil-based boats. Since new students build every boat, this results in an annual setback in the learning curve of the team as a whole. Naturally, members from previous teams can at all times be asked for their advice, and they are often present at the races and design presentations. There is a significant gap between being told about something and experiencing it first-hand, as any student will be able to attest. On the other hand, when the boats perform as they are supposed to, hydrofoil boats are in a league of their own. For example, the 2008 boat had a top speed of 24km/h. This year, the team managed to nearly double that, reaching speeds up to 45km/h with the same energy input from the solar panels (due to the limitations imposed by the organizing committee of the world championships). Having a completely new design with every boat has its obvious drawbacks, but it also leads to a fresh approach each time. This allows the TU Delft Solar Boat Team to be one of the most innovative teams in the international solar boat-racing scene, a reputation that is actively consolidated as each new team starts from scratch with their design. Even a lack of experience can have its advantages; new teams have a hard time judging whether a new design is feasible or if it requires some ground-breaking new approaches. This is the case with the newest boat, designed and built in 2014, and improved even further in 2015. Its most striking design feature is the fact that it employs two inverted T-shaped hydrofoils. 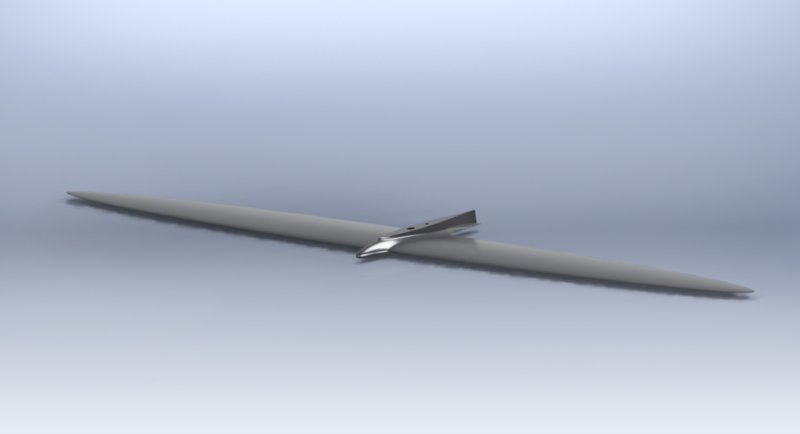 This basically means that the hydrofoils are much like airplane wings, except that they are attached to the hull via an aluminum strut with a length of about 70cm. When the boat “flies” on its hydrofoils, it is balancing on just two support points, much like a bicycle. Then the center of gravity needs to be on the line between the two supports to maintain stability. As with a bicycle, the system is inherently unstable. If a cyclist stops actively steering the bike, they will fall. The same goes for the solar boat: the pilot must remain focused at all times. 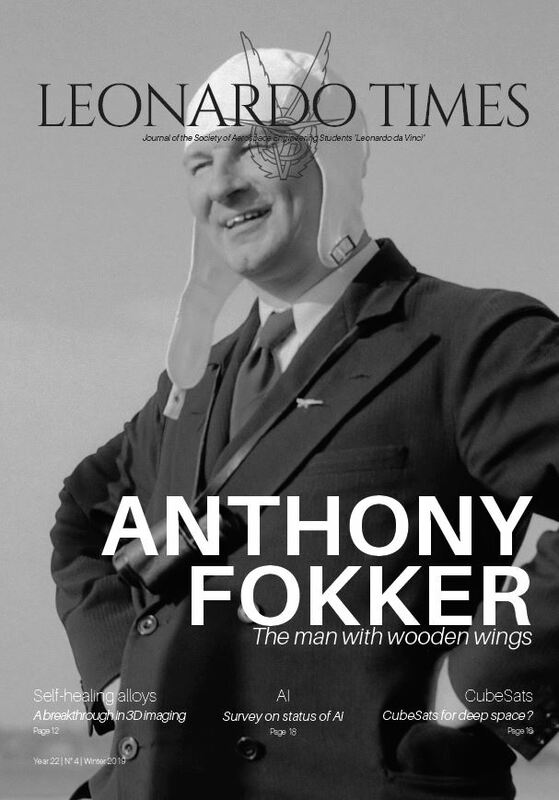 When the team initially presented this concept, most people were very skeptical, but the team always believed in their design. The result is by far the fastest boat the TU Delft Solar Boat Team has ever produced, and the lightest by some margin as well, weighing approximately 90kg. 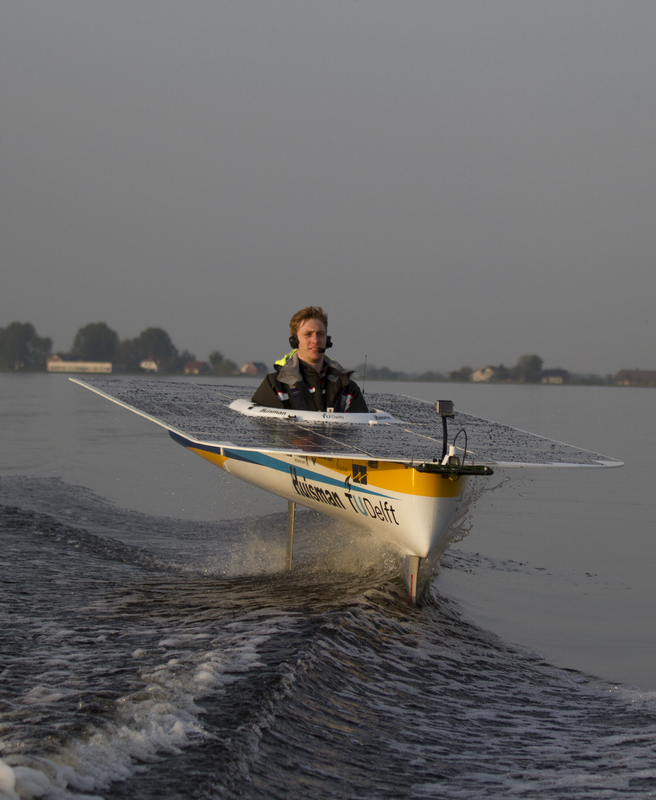 Built for both speed and maneuverability, the newest boat of the TU Delft Solar Boat Team was ready to go on the 14th of May. The team had arrived in Akkrum, at the site of the Dutch Championships for solar boat racing, which would kick off the next day. The team performed one final test run, allowing the pilot to see some of the waterways he would race on, while the final systems checks were performed when things went very wrong. Coming back into the water from hydrofoils, the impact caused the deck supporting the solar panels to crack, leaving a portion of the deck hanging limply by. Normally, this is no insurmountable problem, but with the start just sixteen hours away, the team needed to think of a solution, quickly. The teams design and build boats for the world championships for solar powered boats. However, these are not the only races that the Solar Boat Team participates in. Annually, the team is present at the Dutch championships, held in Akkrum, with the circumstances there being similar to those of the world championships, which also take place on the Frisian waters. These are the circumstances the teams design their boat for. Last year the inaugural Solar1 Cup was held in Monaco. This event will be held annually, and it is the race the team is working towards right now. It is also the first race held on seawater. The salinity can wreak havoc on electronic systems, while waves require the altitude regulation to be re-calibrated. Lastly, the Solar1 Cup has a slalom stage. Neither the Dutch championships nor the world championships feature slalom courses; both only have sprint races and endurance races. While the low weight of the boat is a drawback on open waters, due to its susceptibility to gusts, it leads to very high maneuverability, giving the team an edge in the slalom. All in all, the circumstances in Monaco will be challenging, but greater challenges result in greater achievements. The damage done during the final test required some team members to pull an all-nighter, but when the sun rose on Friday morning May 15, the improvised repairs were ready, and with it, the team. A challenge was encountered, taken on, and overcome during a dark, chilly night. The actual races for the Dutch championship saw the team encounter several other challenges. These setbacks resulted in a fourth-placed finish for the TU Delft Solar Boat Team, but this was not a disappointing weekend. The team learned some very valuable lessons while tackling all the problems they encountered. The team never lost its enthusiasm. Selecting the right people can be challenging at times, but if it is done right, a team of motivated students can compete with experienced engineers. That is perhaps the most valuable lesson of them all and it inspires the team with the confidence needed to take on Monaco.